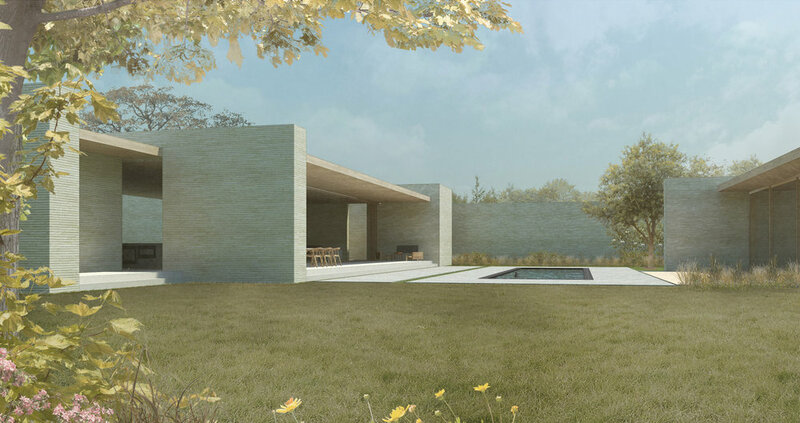 As an ongoing formal exploration, this speculative project for a site in Sagaponac NY was seen as a continuation of the themes we established at Wild Lilac. A one story house is envisioned as a series of heavy protective walls in one direction, and monumental openings in the opposite direction. These rules allow for a simplicity of form and expressive spatial compositions while creating wonderfully functional spaces.